Last month I went to see a very special screening of Dario Argento’s nightmarish, witch-infested classic, Suspiria, in Belfast’s Waterfront Hall. The screening, courtesy of those cool cats at the Belfast Film Festival, was accompanied by a live score performed by none other than original Goblin member and long time Argento collaborator, Claudio Simonetti, and his band, the Simonetti Horror project. 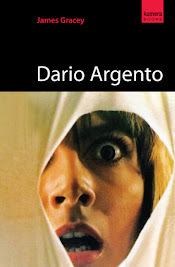 Argento’s classic tells the terrifying tale of an American ballet student who enrols at an exclusive dance academy in Germany, only to discover - after several vicious murders and assorted weirdness - much to her horror, that behind the scenes lurks a witches' coven. 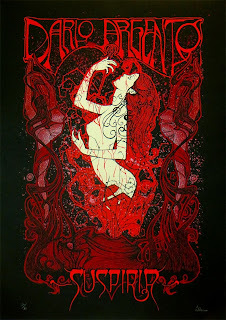 Often hailed as Argento’s masterpiece, Suspiria is an overwhelming onslaught of vision, sound and colour. The director mercilessly bombards the audience with scenes of graphic violence, fantastical lighting, overwrought production design and an immensely atmospheric soundtrack courtesy of Italo prog-rockers Goblin. 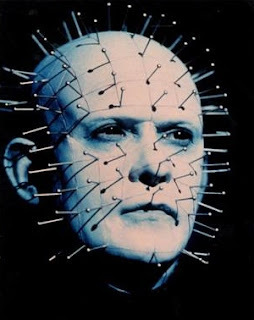 With its blushless exploration of adult themes such as sado-masochism, eroticism, pain/pleasure thresholds, and its searing imagery of grisly body-modification and skinless resurrections, Hellraiser marked writer/director Clive Barker as an extraordinarily singular voice in horror. Based upon his novella The Hellbound Heart, it tells of individuals who seek the most extreme forms of self-gratifying pleasure before losing their lives (and souls) to a group of sinister, self-mutilating figures from another dimension. To say bloodshed ensues is a vast understatement. While the film boasts a deliciously gothic score courtesy of Christopher Young, Barker had originally commissioned British industrial outfit Coil to score the film. The ‘bowel-churning’ soundscape they delivered wasn’t considered commercial enough by the studio, though the band later released it in various collections of their work. 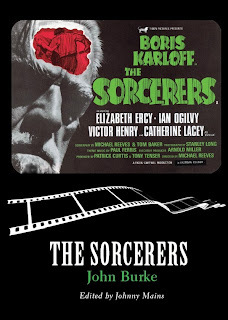 In 1967 Michael Reeves directed The Sorcerers, a curious blend of horror and sci-fi in which Boris Karloff stars as an ailing scientist who creates a device that enables him to control the mind of a young man and share the sensations of his experiences. It isn’t long before the scientist’s wife, drunk on power and obsessed with experiencing new things, begins to indulge her increasingly perverse desires, including murder. The original story and screenplay was conceived and written by John Burke; however when Reeves and Tom Baker re-wrote sections of it at Karloff's behest, Burke’s credit as screenwriter was relegated to ‘Based on an idea by.’ This ‘error’ was eventually corrected in Benjamin Halligan's 2003 biography of Reeves. 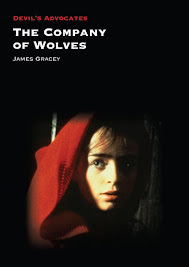 It is also the raison d’être for a new book by Johnny Mains, an award winning editor, biographer, horror historian and renowned authority on the vintage horror anthology series, The Pan Book of Horror Stories.